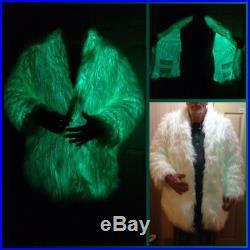 This is the glow coat for festival season i have only 1 premade jacket available, right now:#1. 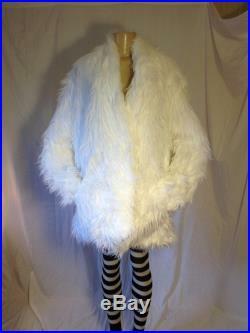 Prepare to be stopped to talk about your coat with enchanted passersby. 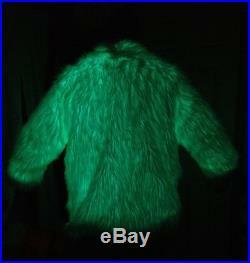 This faux fur jacket glows like a lightbulb when switched on white mongol or plush faux fur outside, white satin inside and an elwire filler that will glow all night (estimates are about 6 hours of constant glow). 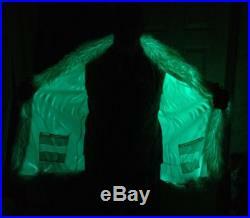 2 aa battery cages of 8 batteries each power the coat with 2 drivers located in the pockets. Gear pockets on the lining side, hand pockets fur side. 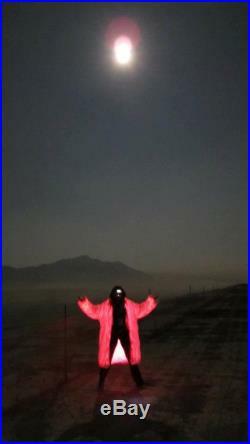 No one else in the world has been crazy enough to make these coats on a regular basis (as i did a while ago) now i only make a few of them now and then. Yours will be just as brilliant out there, or at any of your eventsfor more details you can contact me here, or at lulievision at gmail.